Intended for interception and destruction of piloted and non-piloted aircraft, as well as cruise missiles in long range and close manoeuvring air combat. 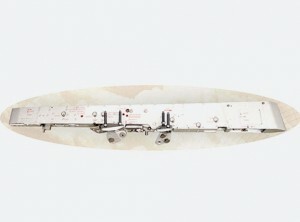 It is a part of armament of MiG and Su types of aircraft. 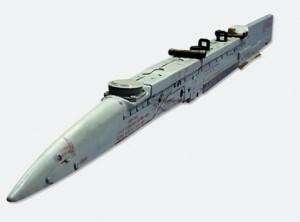 R-27EP1 and R-27P1 (export version) upgraded guided missiles of R-27 missile family of air-to-air class are available. 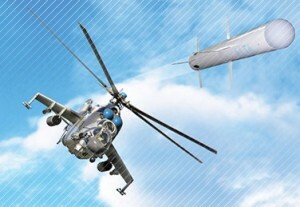 AR-8L corrected air missile is intended for destruction of different types of ground-based targets (tanks, APC, self-propelled artillery launchers, missile launchers, radar stations, parked aircrafts, ammunition depots, special trains). 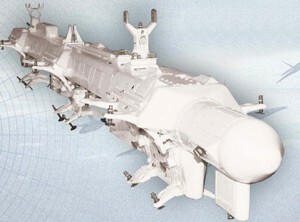 The article is launched from the B8M and B8V20 launching units, included into the corrected air missile armament of the following types of aircrafts: SU-17, SU-24 (with equipment “Klyon”), SU-24M, SU-25, MiG-27K, and also helicopters with target laser illumination system. Functional features of A3-10 infrared optical homing head: phase-pulse modulation method; two-spectral Multi-element photo detector device; digital methods of data processing with the aid of microprocessor units; reprogramming possibility of noise immunity algorithms. 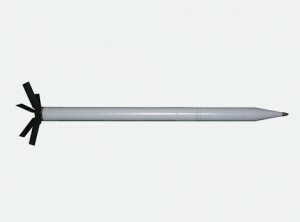 It is intended for effective defeating of stationary (particularly small-size) and protected ground targets and is use as component of 500 kg, 250 kg and 100 kg aerial bomb rounds. The bomb round may be operated from the external mast rack of tactical aviation aircraft. 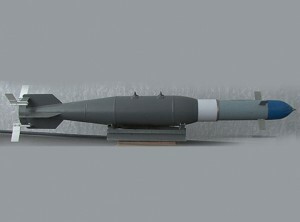 The corrected bomb round is composed from aerial bomb, Adros BAU-01KT aerodynamic control unit inserted into fuse main bushing, and base aerial percussion type fuse. 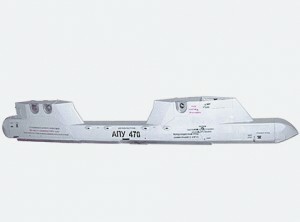 Use of the Adros BAU-01KT unit increases by 1.5–3 times the target kill probability while reducing the aerial bombs consumption by 6–30 times depending on target type. They are intended for suspension, carriage and launching of missiles by the MiG, Su and YaK series aircraft. 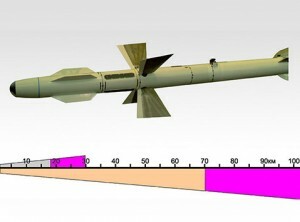 It is intended for suspension, delivery and launch of the missiles from the MiG-29, Su-27 and Su-30MK aircraft. It consists of the body with front and rear suspension points, guide rail, function unit, electronic circuit components, waveguide and nitrogen system for IR homing head cooling. 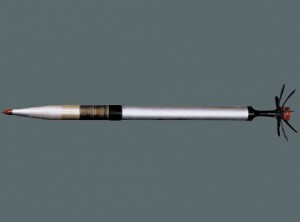 It is installed on Su-27, Su-24 and Su-30MK aircraft and is used for suspending, transportation and dropping of cargoes of mass 50–500 kg, fuel tanks, launchers, units, mounts, as well as ejection and non-ejection pods for small-size cargoes. 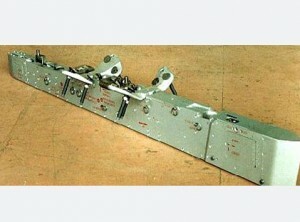 One DZ-UM lock is installed on the mast rack. It is intended suspending, transportation and dropping of cargoes of mass 50–500 kg, fuel tanks, launchers, units, mounts, as well as ejection and non-ejection pods for small size cargoes it is used on MiG-29(UB) and MiG-27(M) aircraft. One DZ-UM lock is installed on the mast rack. It is used on Su-24, Su-27, Su-30MK, Su-32FN aircraft as an external device for suspending, transportation and dropping of six cargoes of 50 kg, 100 kg or 250 kg calibre. 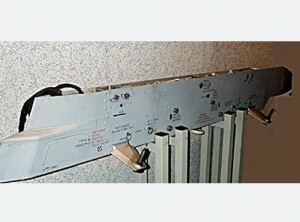 Six locks of DZ-57DA type are installed on the mast rack. It is intended for suspension, delivery and ejection release of 80–500 kg cargoes. 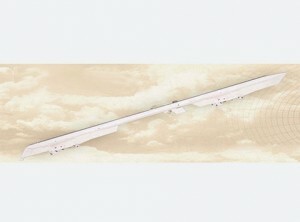 The mast racks have nose and tail fairings for aerodynamic improvement and equipped with four limit stops installed according to the cargo package diameter. 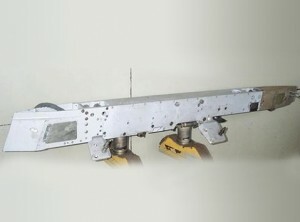 It is used on Su-24, Su-27 and Su-30MK aircraft. They are intended external suspending, transportation and dropping of two cargoes of mass 50–500 kg. 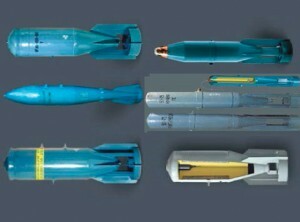 They are used on MiG-23, MiG-27(M), MiG-29(UB), Su-25, Su-30MK aircraft. 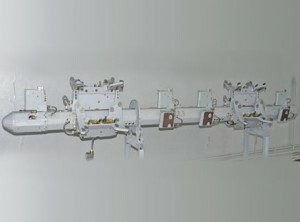 The frames with DZU-1 locks are installed in the MBDZ-U2T-1 and frames with DZ-UM locks are installed in the MBDZ-U2T-1M. It is installed on Tu-22M3 aircraft and is used for suspending, transportation and dropping of cargoes of mass 50–500 kg which number may be from one to nine. 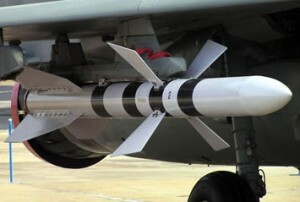 They are installed on Su-24, Su-27, Su-30MK and Su-32FN aircraft and are used for suspending, transportation and ejection dropping of cargoes of mass up to 1 500 kg, as well as PTK-2 000 and PTB-3 000 external fuel tanks.